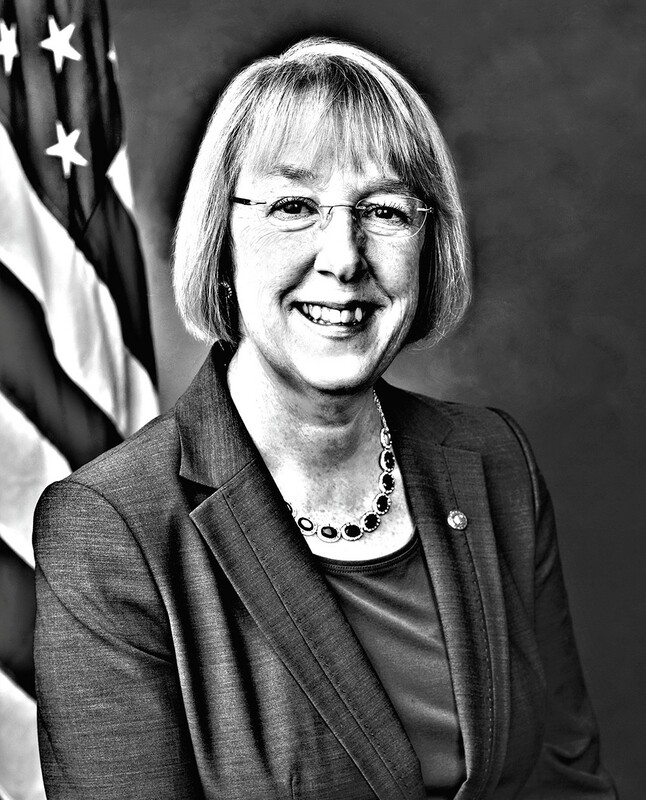 Make no mistake, Sen. Patty Murray is very liberal. Her voting record has twice earned her National Journal's "Most Liberal Senator" ranking, and the liberal magazine Mother Jones called her "as far left as you can go without alienating the centrists in the party." And make no mistake, Wisconsin Rep. Paul Ryan is very conservative. In 2012, statistical guru Nate Silver ranked him the most ideologically extreme vice-presidential nominee in more than a century. In March of 2013, Democrats accused Ryan's proposed budget outline of "draconian cuts" and of being "totally uncompromising." Murray has long led the charge for abortion rights, while Ryan is a devout, fervently pro-life Catholic. So putting the two in the same room to hammer out a budget deal seemed like a doomed exercise. And yet, after months of closed-door negotiations, Murray and Ryan stood together at a press conference in December of 2013, Ryan's 6-foot-1 frame towering a foot above the diminutive Murray, and announced that rarest of all things: a bipartisan agreement. "Two very different people, two very different budgets, two very different philosophies," Murray tells the Inlander. It was no "grand bargain," but they'd proved that Congress could still agree on something. Since then, Republicans have seized control of the Senate, and Murray is no longer the chair of the Budget Committee. But in recent weeks she's continued to find roads to compromise, untangling the knots in a heated human-trafficking bill and penning a bipartisan update to No Child Left Behind policies. "She seems to be a go-to person when a deal needs to be struck, behind the scenes," says Jill Lawrence, who published a lengthy analysis of the Murray-Ryan deal for the Brookings Institution in February. "She seems to have a way to get to yes." The year 2013 was brutal for Congress. In the spring, sequestration — sweeping, intentionally crude automatic budget cuts — had taken hold, a consequence of the failure of 2011's "super committee" to agree on more sophisticated cuts. The government partially shut down for 16 days as Republicans unsuccessfully demanded major concessions from Democrats over health reform, and congressional approval ratings plummeted. But that also meant that the table had been cleared for compromise. Republicans wanted to restore their charred reputation. Both parties wanted a win. "You know, deadline pressure and terrible poll ratings and falling approval," Lawrence says. "These are all part of the things that make things work." Lawrence suggests that the years of failed negotiations set a foundation for success. Instead of calling for brand-new cuts, the sequester meant that negotiators were replacing clumsy cuts with smarter ones. As soon as she was named Budget Committee chair, Murray and Ryan started meeting and listening to each other. "My goal was to find out what made him tick," Murray told Lawrence. "What does he feel passionate about?" Crucially, the team negotiating the budget deal was kept small — just Ryan, Murray, and selected trusted aides. The typical deal-sabotaging leaks to the press were avoided. "Inside that room, we had a really important agreement that what we agreed upon wouldn't be used against the other person," Murray says. "You have to put things on the table and trust that the person won't go out and hold a press conference saying, 'You won't believe what Senator Murray was giving away.'" The negotiating turf was narrow. Ryan and many of his fellow Republicans had signed pledges to never raise taxes. Murray, meanwhile, wrote "Revenue Must be Included in Any Deal" in a January 2013 budget memo. But there was a solution: user fees. The ultimate deal more than doubled certain fees charged on airline flights, for example. "We challenged ourselves together to find that common ground, to look at each other not as foes, but collaborators," Murray says. Many Republicans remained skeptical, but Ryan's deeply conservative reputation helped convince enough of them. And Murray made some surprising concessions: In 2011, she had threatened to kill the initial sequester bill if veteran benefits were cut. But in her budget deal with Ryan, she agreed to cut military pensions. It proved phenomenally unpopular; Murray and most her colleagues voted to reverse the cuts two months later. Lately, Murray has been instrumental in both setting roadblocks and finding ways to surmount those same roadblocks. In March, Murray and other Democrats learned that a bill under discussion to combat human trafficking extended the 1976 Hyde Amendment — which prohibits the use of taxpayer funding for most abortions — to a newly established Domestic Trafficking Victims' Fund. They were outraged. "It is absolutely wrong and, honestly, it is shameful," Murray told the media. Both sides lambasted the other for holding up a bill on human trafficking because of abortion. Democrats stalled the bill, and Republicans retaliated by holding up Loretta Lynch's attorney general nomination. But Murray helped find a compromise. The agreement prohibited the fund from being used for medical services at all. Both sides called it a victory — Republicans prevented the fund from being used for abortions, while Democrats stopped an expanded Hyde Amendment precedent. "You just have to find people that are willing to at least talk and get to know you, and then you can find ways to compromise," Murray says. Many of her deals have been with the few remaining Republican moderates, like Tennessee Sen. Lamar Alexander. In 2011 he stunned observers by actually stepping down from a leadership post, saying he wanted to seek bipartisan compromise. For Republicans, compromise comes with the risk of being labeled a RINO — Republican in Name Only — and attracting primary challengers. Alexander was no exception. Last year, he faced not one, but six primary opponents. But when he beat them all, he trumpeted his deal-cutting philosophy as the way forward. So as Alexander worked on fixing the No Child Left Behind law this year, that idealism gave Murray an avenue of persuasion. The law requires an increasing number of students to pass state standardized tests each year. By 2014, every single student was supposed to pass state standards, an impossible standard for most districts to meet. Today, both parties despise it, but haven't agreed on a replacement. Initially, Murray says, Alexander developed his own "very partisan" bill. But Murray called upon his bipartisan sensibilities to work with her to instead come up with something together. "Do you think the law's broken?" Murray recalls asking Alexander. "Yes. If you work with me, and we can find some common principles, then we can actually get it signed into law." After all, while Republicans control Congress, they still need the Democrats. Democrats still have enough members to filibuster, and a Democratic president still has his veto pen. "I listened to her; I took her advice, and it was good advice," Alexander said, according to Politico. But there aren't many Republicans like Alexander left. Social researchers calculated that Congress has become more polarized in the past few years than any time in American history since Reconstruction. These days, most deals have to be done with the support of people like Ryan. Recently, Murray has championed left-wing issues, like a higher minimum wage and mandatory paid sick leave, while Ryan has been pushing for welfare reform as the cure for the "poverty trap." But their relationship continues, even as the success of one agenda often means failure for the other. "Patty is a good friend of mine," Ryan says in a statement to the Inlander. "We have our policy differences, but she's a tremendous public servant." One of Murray's first interactions with Ryan came directly after Mitt Romney and Ryan lost their presidential bid in 2012. "He and I talked about how hard it was to lose," Murray says.